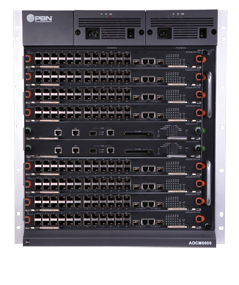 The AOCM6000 is a carrier-grade switching/routing platform providing access & aggregation capabilities for PBN’s FTTx solutions. 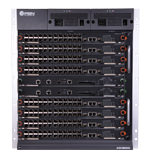 The latest upgrade to second generation will provides higher performance and lower cost. 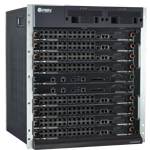 The largest unit is a 19” sub-rack with 12 RU height, and ten card slots. Two slots are dedicated to redundant switch/controller cards and eight slots are allocated for line cards. 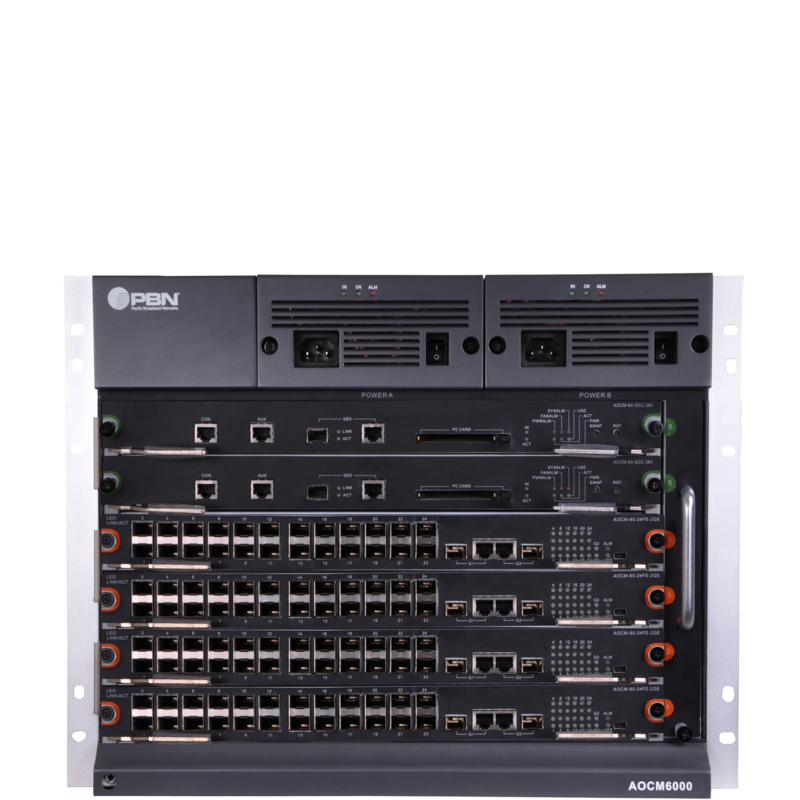 Designed for high-density FTTH deployments, the platform is a real workhorse, capable of supporting up to 384 ActiveEthernet subscribers or up to 8192 EPON subscribers in a 1:64 split environment. Or of course, a mix of both technologies. 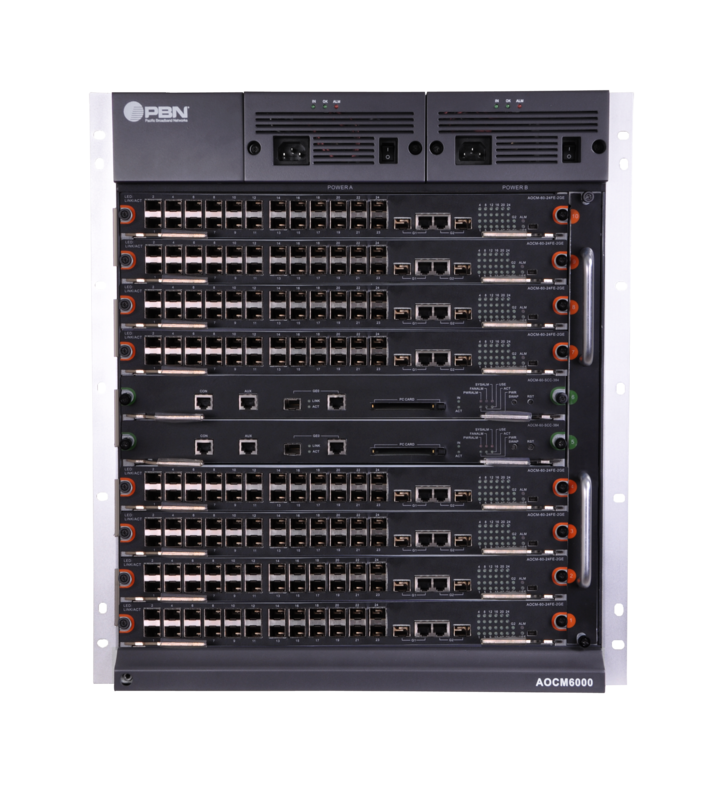 Designed for modularity, this mainframe is able to support ActiveEthernet subscribers with 24 or with 48 ports per line card for Gigabit Ethernet optical subscriber lines. 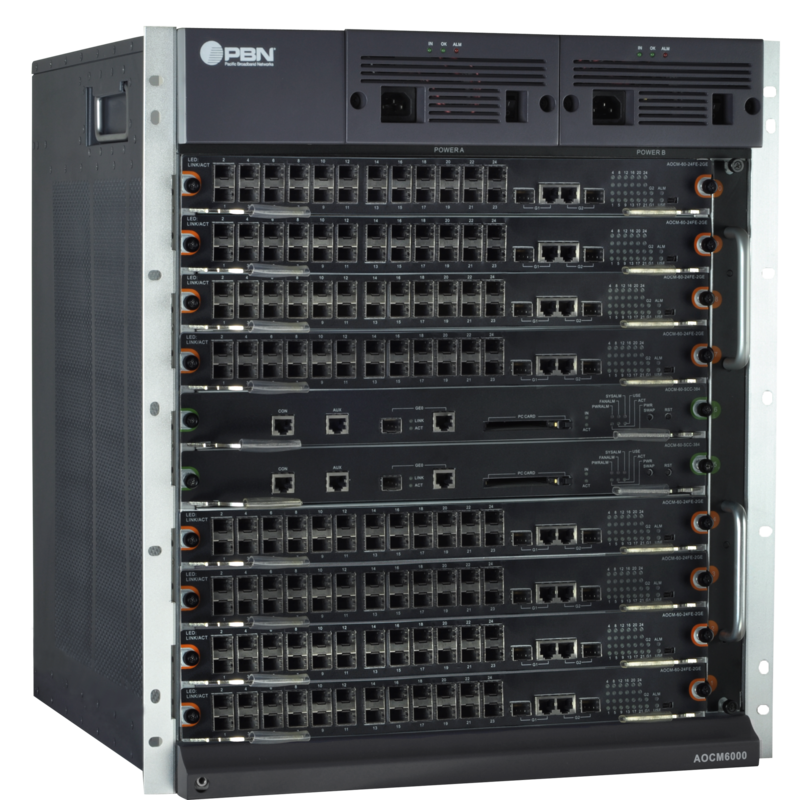 The high-density EPON OLT cards feature 16 port SFP-based optical line terminals. The power supply units are available for battery or for universal mains systems. Uplink cards are available with up to 4x 10 Gbps ports for SFP+ plug-ins. QoS 8 dispatching queues per port, supports 802.1p, ToS, application port control, DiffServ, WRR, SP, SWRR, etc. 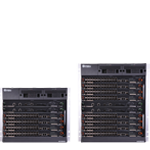 The AOCM6000 series switches are ideal for use in centralized FTTx deployments as well as aggregation switches with multiple remote hub-sites. The application diagram represents a typical hybrid HFC FTTx scenario with CATV overlay utilizing AIMA3000 technology from PBN. 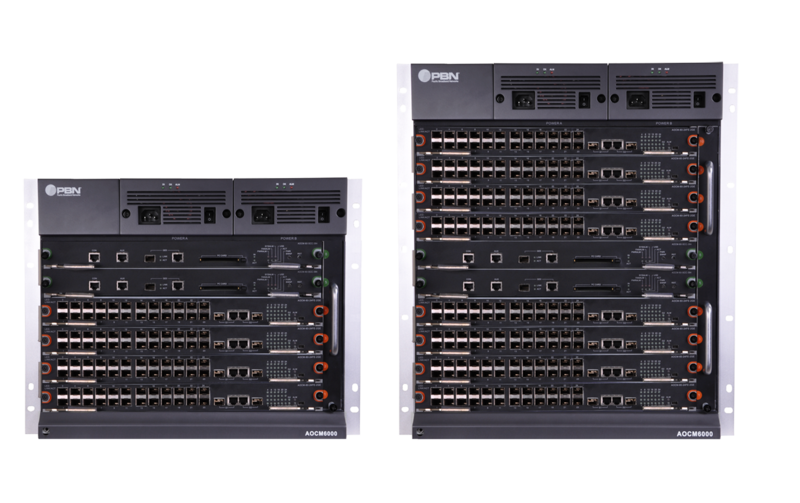 Based on actual growth of the P2MP or P2P FTTX subscribers, the AOCM3000 switches can be deployed in a cascading fashion, which allows simple management as if there was only a single switch deployed. 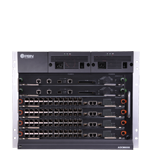 For the CATV overlay components, the larger AIMA3000 carrier-grade RF headend solution can be scaled down based on operator needs to PBN’s 1RU EDFA and LTE product line. SFP optical plug-ins must be ordered separately and are not part of the line card delivery. XFP optical plug-ins must be ordered separately and are not part of the line card delivery. * AOCM-60-SCC-384 and AOCM-60-SCC-384-G2 are not compatible with each other in the same chassis. ** AOCM-60-SCC-1536 only used within G2 Chassis in P2P system.